Cinephile culture tends to be suspicious of bigness. For example: big budgets; or an endlessly extending series franchise; or an actor’s larger-than-life performance that makes a bid to impress; or something as simple as the length of a film. When Manny Farber made the enduringly fascinating distinction between “white elephant art” and “termite art” nearly 60 years ago, he was incarnating cinephilia’s skepticism of bigness — and targeting a specific form of it. Farber attacked the ambition (or, more precisely, the ambitiousness) of a work, its propensity for big and broad gestures, its claim to Significance. At their expense, he advocated a moment-to-moment inventiveness that seeks neither to astonish nor to garner prestige. This modesty of disposition as a temperament was an important value for Farber, and has been so for the large swath of film culture that has resonated with his essay in the decades since. Two of the best films I saw in Toronto — Maren Ade’s Toni Erdmann and Kleber Mendonça Filho’s Aquarius — were thrilling partly because they worked to scramble Farber’s dichotomy between white elephant art and termite art. Both were long, openly ambitious films (with running times of 163 and 145 minutes respectively) but their ambition gave no hint of self-aggrandizement or precious self-regard. In other words, despite their boldness and reach, they embodied a sensibility that was modest. Berlin School filmmaker Maren Ade’s first two films, The Forest for the Trees (2003) and Everyone Else (2009), were received with enthusiasm, but her third, Toni Erdmann, is something rare and special — a work that has been embraced and celebrated by an unnervingly broad range of critics and viewers. It is a film about the relationship between a father and daughter (courageous, committed performances by Peter Simonischek and Sandra Hüller), “a drama with funny moments,” as the director modestly characterizes it. David Bordwell places it in the tradition of screwball comedy: “a mischievous madcap disrupts the staid life of an uptight character s/he loves.” Adam Nayman connects the film to that 21st c. genre, “the comedy of awkwardness,” while noting that it differs from other exemplars of this group by never placing the viewer in a position of superiority over its characters. I will refrain from disclosing any more of the film’s narrative because the foundational element of this work is surprise. 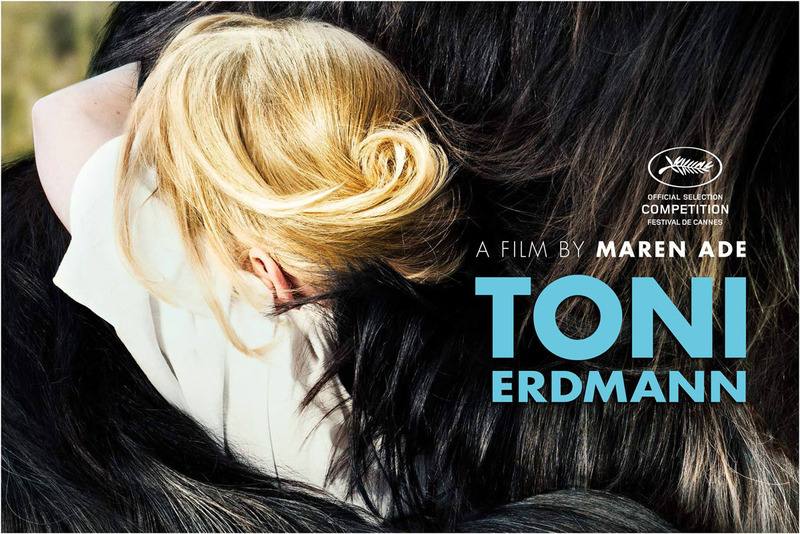 On the one hand, Toni Erdmann works broadly in a classical-realist mode. This sets it apart from — and ostensibly renders it more “conventional” than — so much festival/art-house cinema which frequently tends to wear its modernism on its sleeve (specifically, the downplaying of elements such as character development, psychological realism, and clear temporal continuity). And yet, while embracing certain “traditional” values, the film also pushes them so far that they emerge into a space that is qualitatively different from what we encounter in 99% of realist cinema. Call it a revelatory supra-reality that feels genuinely bizarre and dangerous — and yet carries a potent ring of truth. Central to this effect is the fact that this is an actors’ film, a “behavioral suspense story” (as Kent Jones calls it). Dennis Lim elaborates upon this aspect when he calls Ade “an unsentimental humanist [who] shares with Cassavetes an alertness to the role of performance in the theater of everyday life and a belief that the most revealing human behavior takes place on the edge of social acceptability.” It is this risky, high-wire “experimental realism” shared by Ade and Cassavetes that (one suspects) leads Lim to propose that the film has a kinship with Love Streams. The above approach may sound superlatively ambitious, but it is brought into existence in classic “termite art” fashion, details accumulating one moment to the next, slowly forming a thick, textured weave of behavior and situation. This moment-to-moment unfolding is the true heart of the movie’s work. Consequently, the nearly-three-hour film contains a surprisingly small number of scenes: Ade takes her time in building each scene up, one emerging, surprising detail at a time. For a movie that works as a forceful satire of gender dynamics and the global-capitalist workplace, its insights come not in big, broad strokes but precisely through this dense layering of social-behavioral detail. Mark Peranson’s interview with Ade is invaluable: it reveals a number of intriguing details such as her month spent researching the anarchic comedian Andy Kaufman on the Internet; how she intertwined the processes of writing and location scouting in Romania, allowing each process to bleed over and influence the other; and the fact that the idea for the most unusual prop of the year (a set of false teeth) has its origins in a gift given away at the premiere of the first Austin Powers film — an event that Ade attended with her father. Ironically, Robert Koehler’s (equally valuable) interview with Brazilian filmmaker Kleber Mendonça Filho is titled “Termite Art”. While this is primarily a narrative reference, Aquarius constructs, like Toni Erdmann, an entire universe of little details, here to portray the life and world of Clara (Sonia Braga), a widowed former music critic who is the last resident holding out in an apartment building that has been targeted by profit-hungry real estate developers. It takes at least two data points to begin building the picture of an auteur — and viewing Aquarius in light of Mendonça Filho’s previous film (and debut feature) Neighboring Sounds (2012) is very illuminating. Taken together, both movies reveal “big” themes that clearly carry urgency for the director: the way urban space is threatened, surveilled, invaded — and how class dynamics play out in a city (in this case his hometown of Recife). Mendonça Filho is a 47-year-old former film critic who has come to feature filmmaking a little later than most, but this delay shows itself to be a virtue. Interviews with him are a pleasure to read: they convey a sense of wisdom, life experience, and broader political engagement, but they also openly reveal a lack of pretension (to his being a “political filmmaker,” for instance) and an unapologetic and unfashionable commitment to a largely realist, character-driven, narrative-interested cinema. I thought for a long time if this one should be shot 1.85, for all the usual reasons (one character, intimate story, etc.). 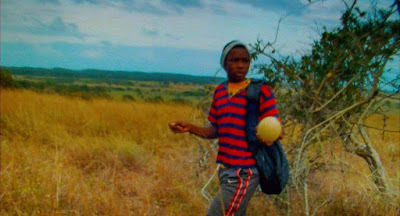 I photographed the locations with my still camera and edited pictures for 1.85 and 2.39:1 for us to see, with my cinematographers Pedro Sotero and Fabricio Tadeu. But who was I kidding? I love widescreen. I realized it should be shot like a widescreen film from the ’70s. I love De Palma, Altman, Cimino, Lumet, Siegel, Eastwood, Spielberg, Carpenter, Szigmond, Fraker, Alonzo, Semler—I grew up with their films, these filmmakers are in there somewhere, maybe not visible, but they are there, for myself to see […] I should also point out that the use of widescreen today has been clearly lost on many films, because technology has made it so easy to choose an aspect ratio. I’ve even seen filmmakers deciding, “Let’s have it widescreen!” after they shot the film. You can export video from an iPhone on widescreen and DCP projectors just show a film any way you want. In the old days, shooting widescreen was a very technical and aesthetic decision, involving labs, lights, and lenses. When Aquarius showed at Cannes, political turmoil erupted coincidencentally in Brazil. In the months that followed, its first female President, Dilma Rousseff of the leftist Workers’ Party, was deposed, and an interim government hostile to the arts came to power. The attack against Rousseff, which the cast and crew of the film likened to a coup d’état and protested in spectacular fashion at Cannes, echoed aspects of the film’s own narrative, reality catching up to a film that been shot a couple of years earlier. Mendonça Filho has cited precedents such as Lindsay Anderson’s if.... (1968) and Glauber Rocha’s Terra em Transe (1967) that enact the phenomenon of films foretelling reality. In recent news, a prominent right-wing film critic who has openly criticized the makers of the film (for “ridiculing” Brazil at Cannes) has now been appointed to the committee that selects the country’s official submission for the Oscars. This will guarantee (it is believed) that Aquarius will not be allowed to represent Brazil at the Oscars….